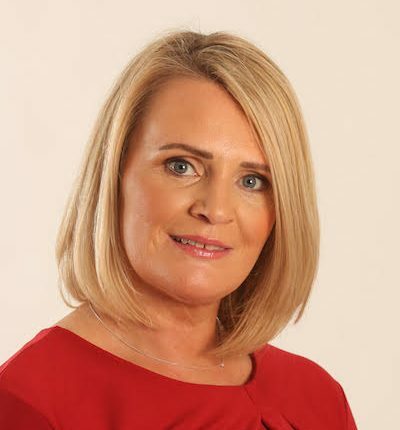 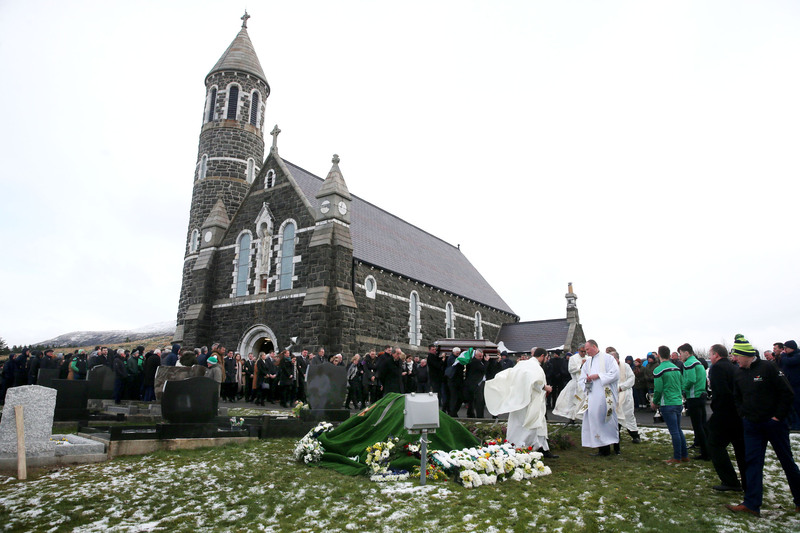 The remains of The late Mchel Roarty are carried from Sacred Heart Church, Dunlewey following the funeral Mass today (Thursday). 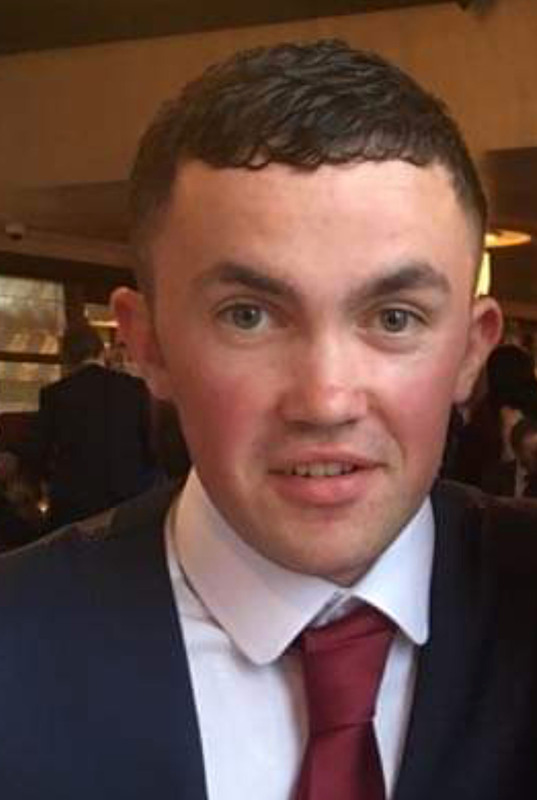 A tragic day in West Donegal as four young friends who died in a road tragedy were buried in Gortahork, Dunlewey and Falcarragh today. 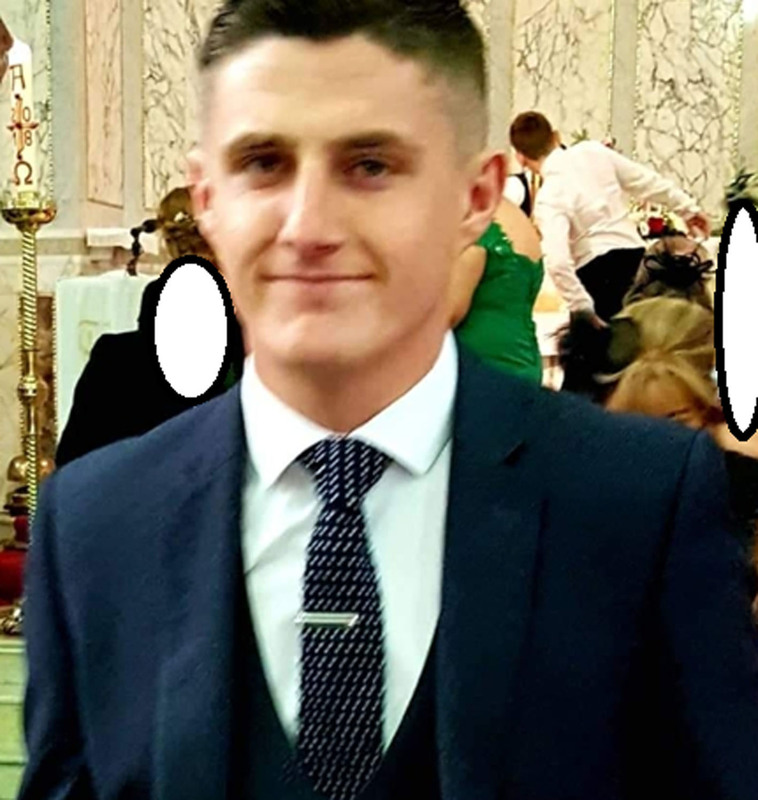 See Friday’s Donegal News for further coverage. 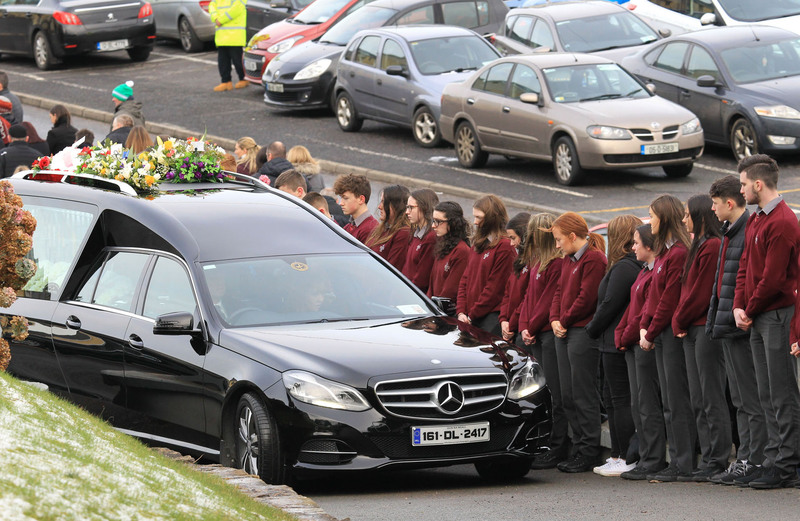 Pupils from PCC Falcarragh form a guard of honour at the funeral of Daniel Scott at Christ the King Church, Gortahork. 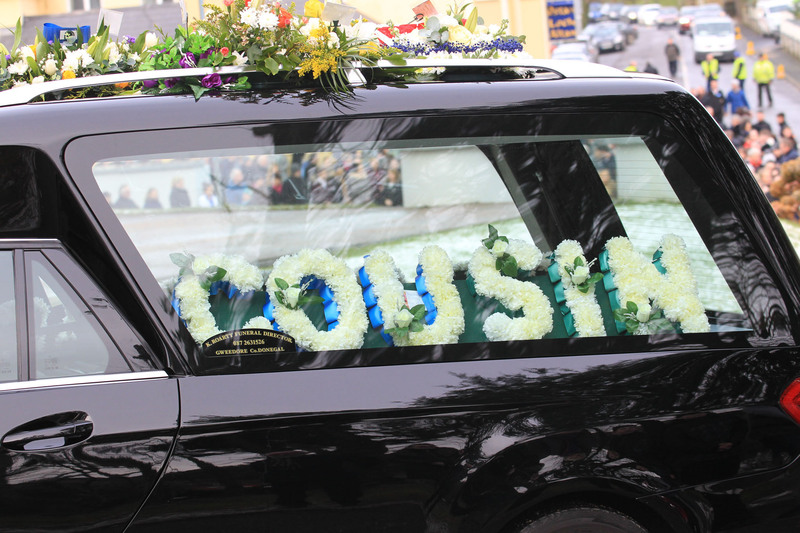 A floral tribute to the late Daniel Scott. 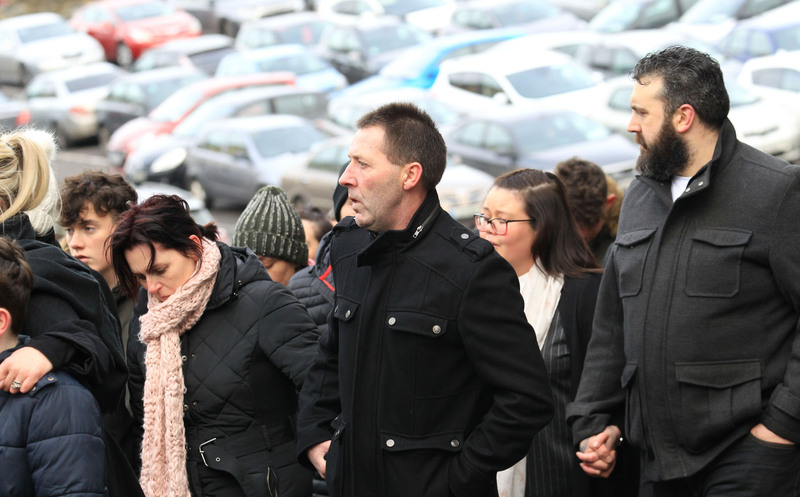 Mourners at the funeral of Daniel Scott at Christ the King Church, Gortahork. 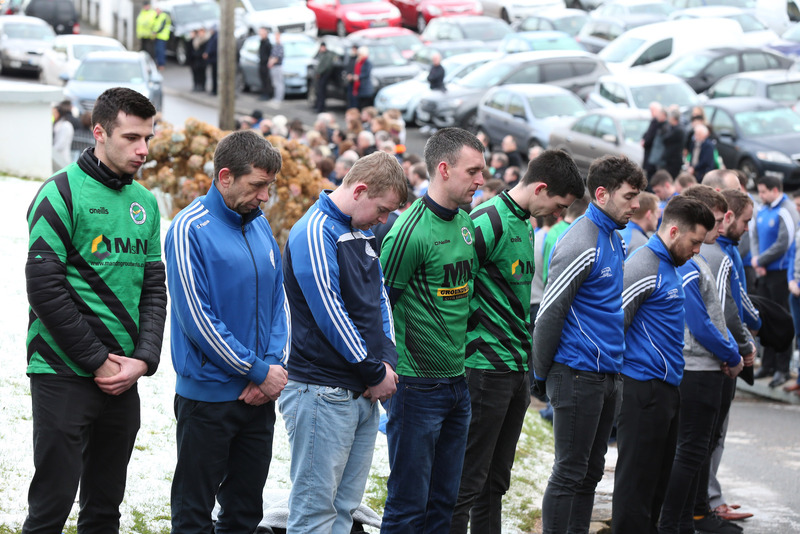 A Guard of Honour from Cloughaneely GAA Club and Glenea United FC at the funeral of Shaun Harkin. 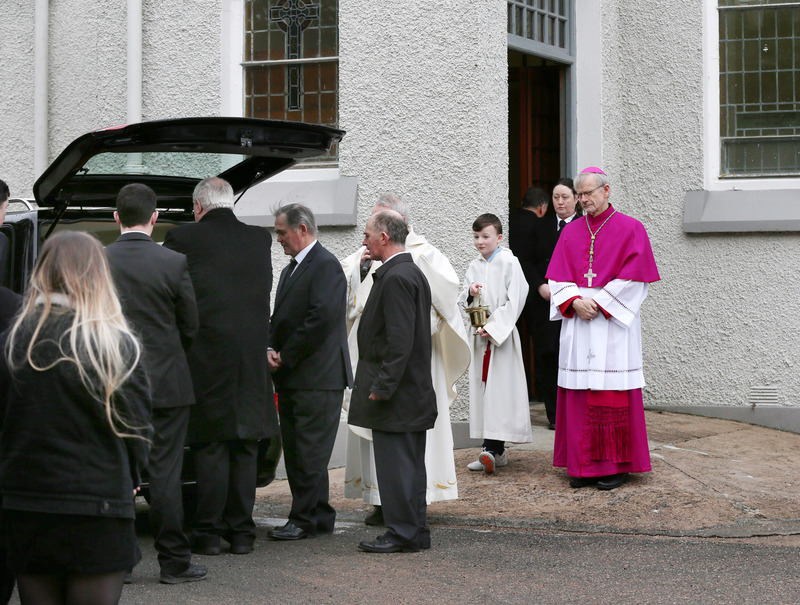 The remains of Shaun Harkin arrive at Christ the King Church, Gortahork wher the family were received by Fr.Sen î Gallchir and Bishop Alan McGuckian. 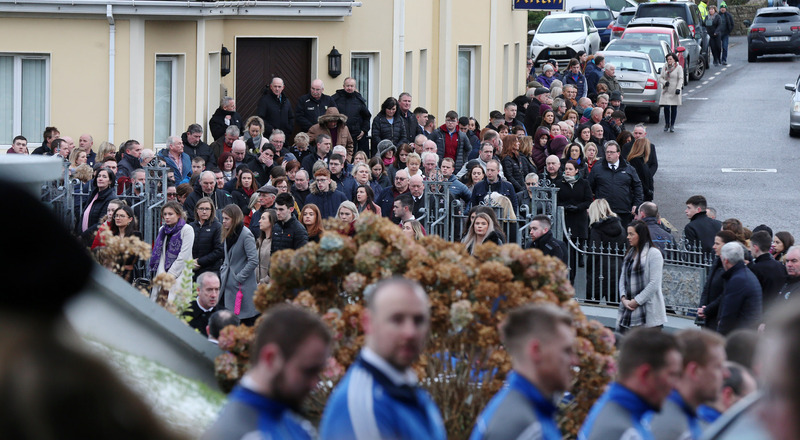 Mourners arrive for the funeral of the late Shaun Harkin in Gortahork. 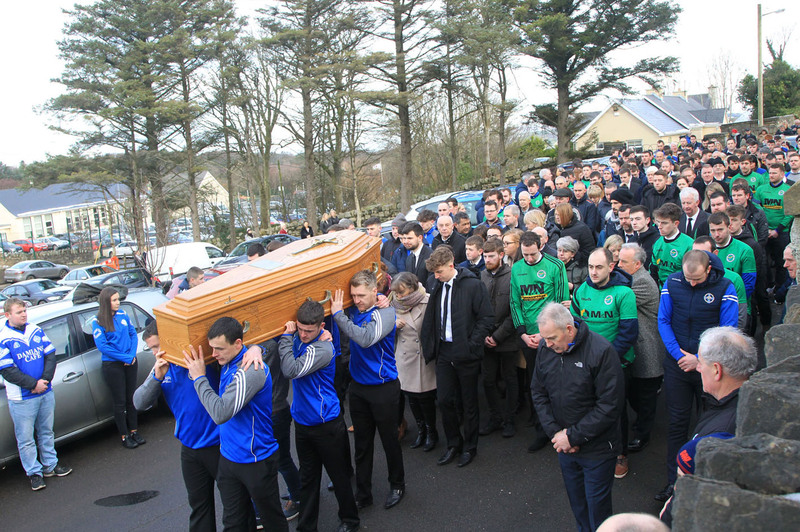 membrs of Cloughaneely GAA Club carry John Harley's remains to St Finian's Church, Falcarragh. 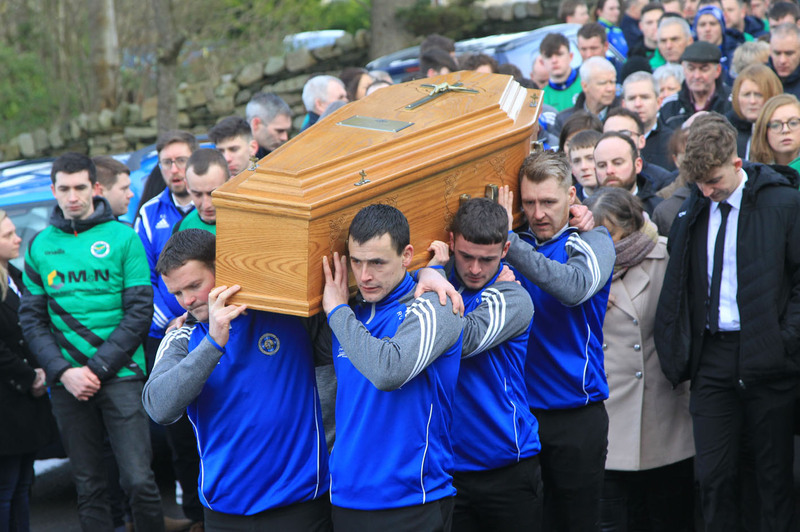 Members of Cloughaneely GAA Club carry John Harley's remains to St Finian's Church, Falcarragh. 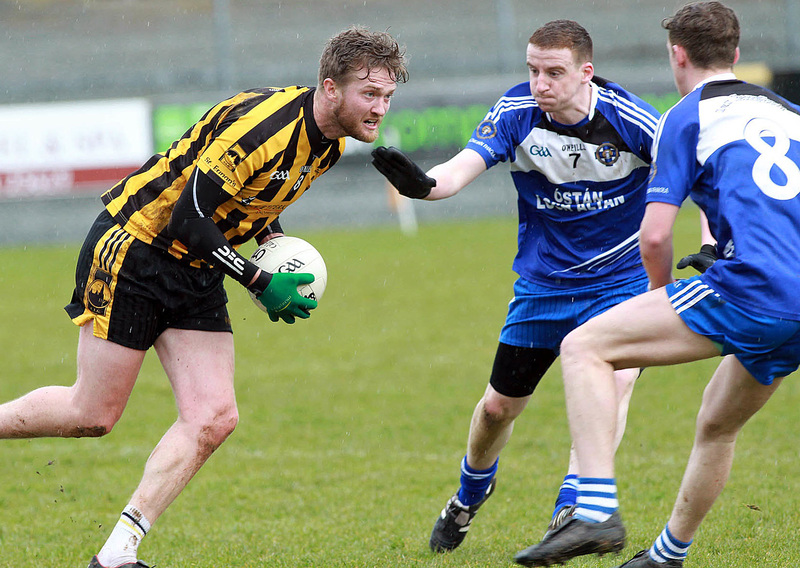 The late John Harley (centre) and Mark Harley of Cloughaneely in action against Ross Wherity, St Eunan's. 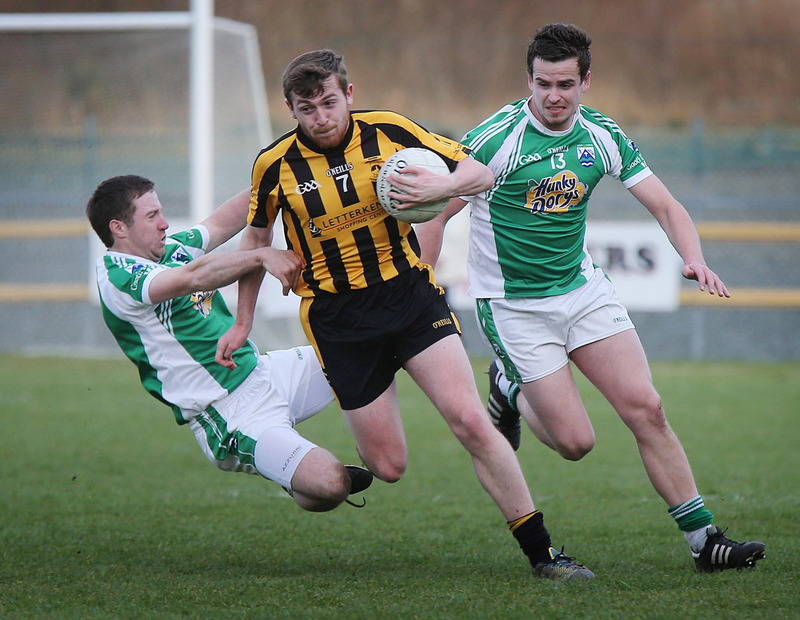 The late Mchel Roarty (right) in action for Gaoth Dobhair at at O'Donnell Park, Letterkenny, in March 2015 with team mate Paul Mulligan (left) and St Eunan's Lee McMonagle. 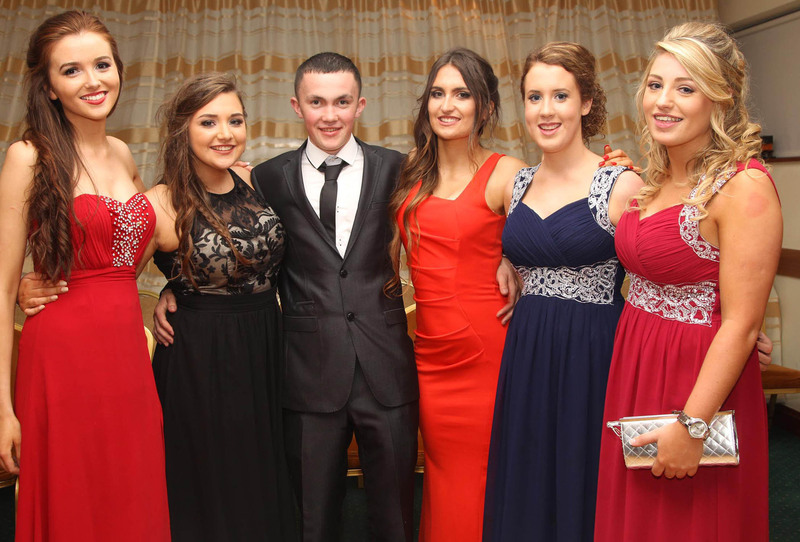 Neasa Weed, Maria Perry, the late Shaun Harkin, Grainne McHugh, Caoimhe McFadden and Laura McLaughlin at the Pobalscoil Ghaoth Dobhair Prom at The Station House, Letterkenny in 2017.